The IDEXX Pseudalert/Quanti-Tray microbiological test for the rapid detection of Pseudomonas aeruginosa (P. aeruginosa) produces confirmed results in a shorter time than the standard reference ISO 16266 and MoDW Part 8 PACN agar membrane filtration methods with no further confirmation steps, a new study has found. The study, Evaluation of an MPN test for the rapid enumeration of Pseudomonas aeruginosa in hospital waters, published in the Journal of Water and Health, also concluded that Pseudalert/Quanti-tray was a valid alternative method for hospital water analysis. 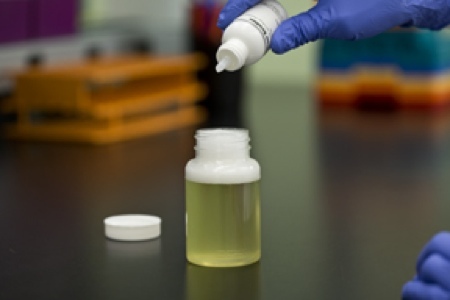 Conducted on both routine hospital water samples (80 from six laboratories) and artificially contaminated samples (192 from five laboratories), the study compared in parallel the performance of the traditional membrane filtration technique, which produces presumptive positive results in 40–48 hours, with the Pseudalert/Quanti-Tray test, which gives confirmed results after 24 hours. 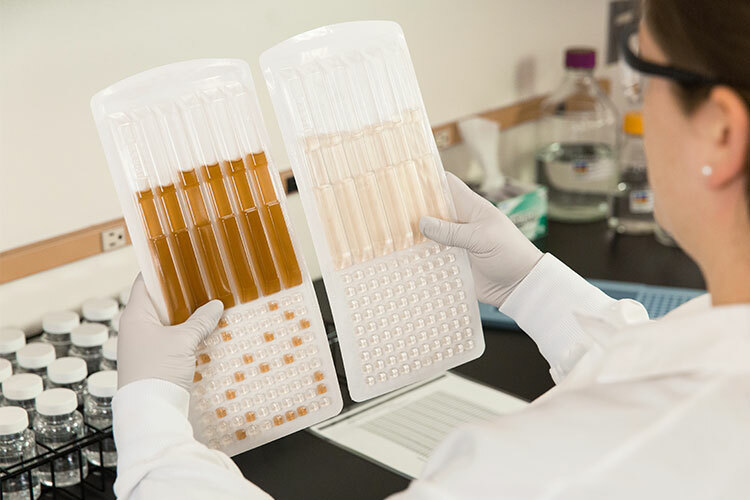 For routine samples, the data indicated at least equivalent performance of Pseudalert/Quanti-Tray, while for the artificially contaminated samples, the data revealed higher counts of P. aeruginosa being recorded by Pseudalert/Quanti-Tray. The study also concluded that as the Pseudalert/Quanti-Tray method does not require confirmation testing for atypical strains of P.aeruginosa, it can save up to six days of additional analysis and has the added advantage of providing confirmed counts within 24 hours of incubation, compared with 40–48 hours or longer for the ISO 16266 and MoDW Part 8 methods. All comparison studies were conducted in accordance with ISO 17994:2014. 'This study clearly demonstrates that the Pseudalert/Quanti-Tray method is an acceptable alternative to the ISO 16266:2006 and MoDW Part 8 PACN agar methods for the enumeration of P. aeruginosa from hospital waters and has the additional benefit of giving a more rapid confirmed result,' commented David Sartory, an independent consultant, an authority on water microbiology, and one of the paper’s authors. IDEXX Water’s Senior Business Manager EMEA, Andrew Headland, added: 'P. 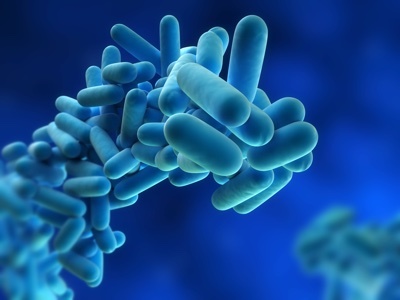 aeruginosa can be a dangerous pathogen in hospitals, where many patients are immunocompromised, and is responsible for a wide variety of infections including pneumonia, gastrointestinal infections, meningitis and septicemia. Launched in 2011, the IDEXX Pseudalert test is based on a bacterial enzyme detection technology that signals the presence of P. aeruginosa through the hydrolysis of a substrate in the Pseudalert reagent. P. aeruginosa cells rapidly grow and reproduce using the rich supply of amino acids, vitamins and other nutrients present in the Pseudalert reagent. Actively growing strains of P. aeruginosa have an enzyme that cleaves the substrate in the reagent to produce blue fluorescence under ultraviolet light. 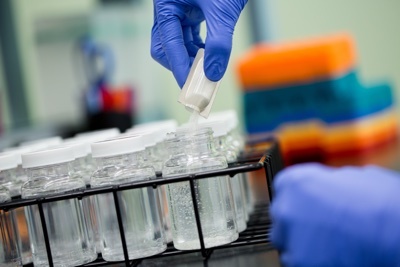 Where quantification of a sample is required, IDEXX has developed a simple device called a Quanti-Tray, which consists of 51 individually sealable cells. The Quanti-Tray can also be incubated for 24 hours after which the fluorescent cells can be counted and quantified by reference to an MPN table.